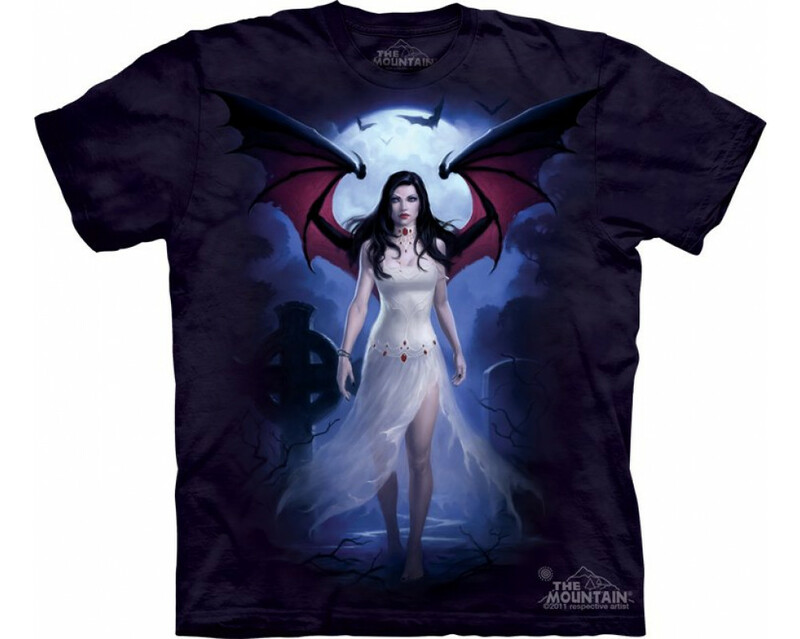 Vampire night - T-shirt : Tee shirt femme vampire ailée. Tee-shirt homme manches courtes sur le thème Dark Fantasy Gothic. Tshirt 100% coton.